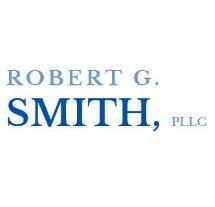 Robert G. Smith is a nationally recognized divorce and criminal defense lawyer who has made nearly 200 appearances on Court TV and has appeared on a broad array of television shows, such as David Letterman, Sally Jesse Raphael, Monteil Williams, Ricky Lake, Jackie Mason, Maury Povich, 9 Broadcast Plaza, and Newstalk. Mr. Smith has served as trial and appellate lawyer in numerous high-profile divorce and felony criminal cases. In many of his talk show appearances, Robert G. Smith has provided the men’s point of view in issues related to child custody and divorce. In his private practice, Mr. Smith represents both men and women clients. He is equally comfortable in the courtroom and at the negotiating table.